Since its inception in 2005, Alpha Stone Solutions has been fabricating, installing, and customizing natural stone slabs for homes in the Richmond, Virginia area. We serve the entire mid-Atlantic region. We use the latest in digital templating and CNC technology in our fabrication process to enhance your project to your exact designs and specifications. We specialize in granite, marble, and other natural stones, but also fabricate quartz products such as Cambria, Caesar Stone, and Silestone. Additionally, we work with many green products (such as Ice stone, Vetrazzo, and Paperstone), which consist of post-consumer and post-industrial recycled content. Alpha Stone has a reputation for offering products of the highest quality to high-end residences. We keep our price in this segment of the market comparative to the competition, but it will not necessarily be the lowest. However, we will never be second from the top in quality. Countertops in Richmond, VA? Where? Why? How? If you are looking for the best bathroom and kitchen countertop-remodeling professionals in Richmond, then you’ve come to the right place. Whatever condition your kitchen or bathroom is in, we can help renovate, refurbish, and redecorate your home. We have many kinds of stones: quartz, marble, travertine, limestone, onyx, soapstone, and granite, to name a few. We always have over 300 large stone slabs from which to choose at our Richmond location. We also have remnants of partially used slabs available at a low rate. Our professional designers will help you complete your remodeling dreams! 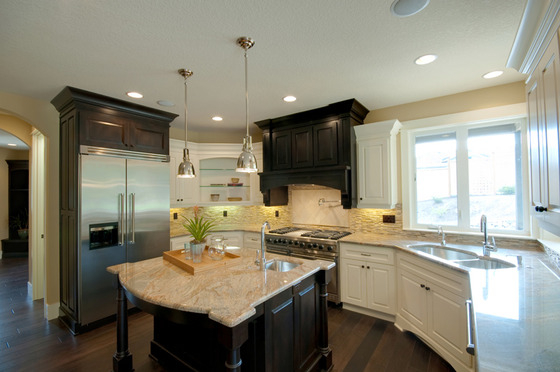 There are many reasons to consider remodeling your kitchen or bathroom using granite or natural stone. Granite countertops are capable of withstanding almost any kind of abuse – you won’t run into the problems typically associated with synthetic materials. Investing in natural stone countertops serves as a one-time fix. A natural stone fabricator can cut a slab of stone to any size to fit your bathroom, kitchen, countertop, or flooring inside or outside your home. With stone countertops you can avoid major stains or mildew damage. You also get an endless amount of choices to get the perfect look for your space. Alpha Stone can help you sculpt your dream kitchen or bathroom with ease. Granite countertops and floor tiling can improve the appearance and cleanliness of your bathroom. 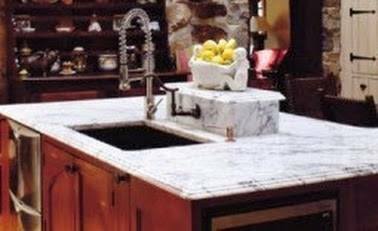 Natural stone countertops are available in many different colors and patterns. Also, to make each pattern unique, you will find floor tiling, kitchen and bathroom cabinets, vanities, and decorations to match the theme of your choice. No matter what your home remodeling needs are, they can be met with ease and satisfaction with the help of our highly rated professionals. When considering what type of stone to use for your home, kitchen, or bathroom countertop, it is wise to understand the quality of each stone. You should choose a stone that can handle the type of activities that you envision taking place in the particular area of your home. For instance, your bathroom will be subject to large amounts of water, chemicals, and moisture. Additionally, your kitchen will be subject to large amounts of heat and sharp objects against countertop surfaces. For this reason, a natural stone that is both durable and low-maintenance can help you with your daily needs. Natural stone countertops, such as marble, travertine, limestone, onyx, soapstone, quartz, or granite can resist heat and water over prolonged periods of time. In fact, natural stone is a durable material that does a better job of deterring water damage than your average synthetic materials. Cleaning natural stone countertops is simple, and easy. All you need is soap and water. You do not have to worry about stains, scratching or breaking. Granite countertops are always sealed before being installed. This sealing protects the stone from chemicals, added moisture, and heat, all of which easily damage other, untreated materials. Why not replace broken or mildew-ridden floor tiles in your bathroom? Over time, when large amounts of water, moisture, and chemicals come into contact with a surface they cause countertops and tiles to deteriorate. This can create a sequence of events and issues that cause you to struggle with your bathroom. You can decrease the amount of maintenance and repair needed in a specific area through choosing long-lasting natural stone tiles for your flooring. Your bathroom remodeling ideas can be taken to the next level when you contact bathroom remodeling professionals right here in Richmond, Virginia. The bathroom is generally the area of the house that deteriorates the fastest due to moisture damage. It is susceptible to mildew damage, which is very expensive to repair over time. Moisture in the bathroom can cause your floor tiles to break and become very unsanitary. Replacing broken tiles with natural stone is also a smart decision because it can enhance the hygienic aspects of your bathroom. Bathroom remodeling is one of the most complicated home improvement projects to do because of the amount of detail that is involved. Not only do you have to worry about plumbing in your bathroom, but also you want to choose a bathroom design that conserves space. This will prove essential to the overall success of your bathroom. Granite countertops and matching floor tiles will give your bathroom an elegant appeal. Granite is the second strongest stone in the world. With it, your bathroom is sure to have a long life. There is nothing worse than feeling like your bathroom is falling apart when you are trying to get clean and prepare yourself for each day. So why not remove all the worry and frustration by replacing broken tiles and that old countertop, and even upgrading the showers and sinks in your bathroom. You can make everything match and flow when you choose natural stone fabricators. They can tend to your every need: finding the perfect cut of stone, getting it cut to a specific edge in a minimal amount of time, and installing the perfect natural stone countertop and floor tiles. In the end, this can make you feel better about your home with less hassle and worry.